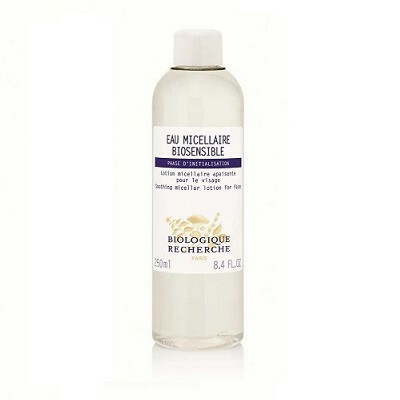 This makeup remover is great for sensitive, irritable skin. It is gentle and soothes the face. Apply to a cotton pad and wipe on face, neck and cleavage – repeat until everything is removed.